Since 2014 the Innate blog has been delivering high quality “slow journalism”, serving up articles that shine a light on artists that have otherwise gone under the radar. 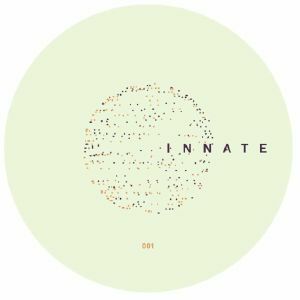 Four years on, the Innate team has decided to launch their own label with the same stated aims, namely to showcase deep electronic music with warmth and soul, produced by unheralded heroes old and new. The label’s first release – a four-track, multi-artist missive – offers a neat summary of what listeners can expect to hear in the months and years ahead. 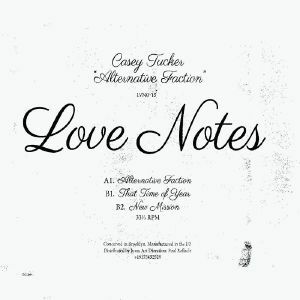 Tracks by Gilbert, Mark Hand, Lerosa and Innate founder Owain K.
Casey Tucker is up to bat once again for Love Notes from Brooklyn. This time, though, it’s a more complete three track artist EP on offer. The music, of course, encapsulates everything that’s great about Casey’s sound: the lush pads, the crispy percussion, the emotional strings, and the dance-floor destroying basslines. Alternative Faction utilizes one such dancefloor destroying bassline to create a real fist pumping moment in the title track; That Time of Year uses a wriggly acid synth line over the aforementioned emotional strings, and to great effect; and New Mission ends the EP in a unwavering fashion; with heartstring-tugging, terk jerking, emotional pads over an acid line in signature Casey Tucker fashion.